Do you know Fact from Fiction? Of course, you know fact from fiction, at least when the evidence is clear and present. We cannot tell you how many times we have met patients who believe some falsehood about dentistry or oral health. To test your knowledge of lesser known topics, we have devised a short quiz for your entertainment. It is better to drink sugar-free, carbonated water beverages than soda. False. 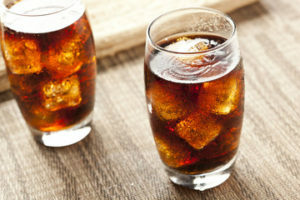 Yes, soda is bad for your teeth. However, what many people have learned the hard way is that there are other, equally harmful beverages. Sports drinks and carbonated flavored waters are two examples. The reason that even these beverages should be avoided or, at least, limited, is because they are highly acidic. One study demonstrated just how quickly a daily sports-drink habit would cause enamel to erode: only one week. Oral care is important for infants even before they have teeth. True. Oral bacteria do not suddenly appear in the mouth when teeth erupt; they are always there. This means that oral health can be disrupted even before teeth are seen above the gum line. Babies should not go to sleep with a bottle of milk, and their gums should be cleaned with a moist, soft cloth after nursing or taking a bottle. This mitigates the acidity left by bacteria and protects the tiny nubs developing beneath the gums. Tooth-colored fillings are only cosmetic. False. It used to be thought that amalgams, or silver fillings, were optimal for structural restoration that would last for many years. We now know different. A tooth-colored filling is more than cosmetic, it is structurally sound due to the bonding process, and also due to the stability of the non-metal material placed inside the tooth. Clicking in the jaw is no big deal. False. If your jaw makes a clicking sound when you chew or open and close your mouth, it could be that you have TMJ disorder. If the symptom is new and subsides within a few weeks, then the problem may be nothing more than overuse (especially if you chew gum). If, however, you also have soreness or limited movement, or chronic headaches, the problem may not resolve on its own. We offer focused TMJ treatments that reduce stress on the jaw and restore comfort. Schedule your visit in one of our conveniently located offices. Call 660-747-9117. How can preventative dentistry improve the longevity and health of the smile?